I was going through the footage of our trip so far until I noticed the slums of Mumbai never made it of my harddisc. True shame, its an amazing place! The slums of Mumbai are quite famous. 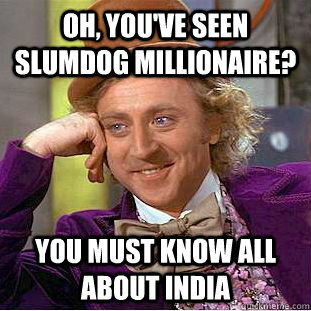 Remember that Indian movie Slumdog Millionaire? Yep its filmed here. The slum area is called Dharavi, a place outside the city center. The area is actually quite massive, they estimate over 700.000 people live and work here. There are stores, shops, bakeries and cricket fields so most of the people living here don’t come outside this area. But the place is quite rough. There is dirt and trash laying around everywhere and not enough toilets for everyone which makes it quite..smelly. Its definitely below the average life standard of India. But there is something amazing about this place. Its actually one massive factory, the people living here are the engine. They produce bread, clothing, buckets, leather, pottery, suitcases and much more. There are 20,000 mini-factories in Dharavi! Since the place looks quite rough I assumed that the things they made are quite rough as well. But they actually make fancy suitcases, football shirts and tasty biscuits you buy in the city centre shops. Some of them use advanced machines and the latest technologies while others do it with their hands. The little businesses are quite small so they often collaborate and help each other out. The total annual turnover of Dharavi has been estimated at over US $665 million. Its a serious industry. Besides being a serious industry this is also the place where most recycling takes place. These business make things from scratch. They have their own tools, they can work with raw materials. Its a small step for them to work with used materials. In fact they are cheaper to get so a lot of people collect them and bring them into the slums for a profit. Fascinating to see their making-culture. While we are at it, we also visited Mumbai’s massive landfill. Over 5.000.000 KG of waste is dumped here, each day. Its currently the same height as an 18 floor high building. The biggest landfill of Mumbai, 5 million KG of waste is dumped each day.